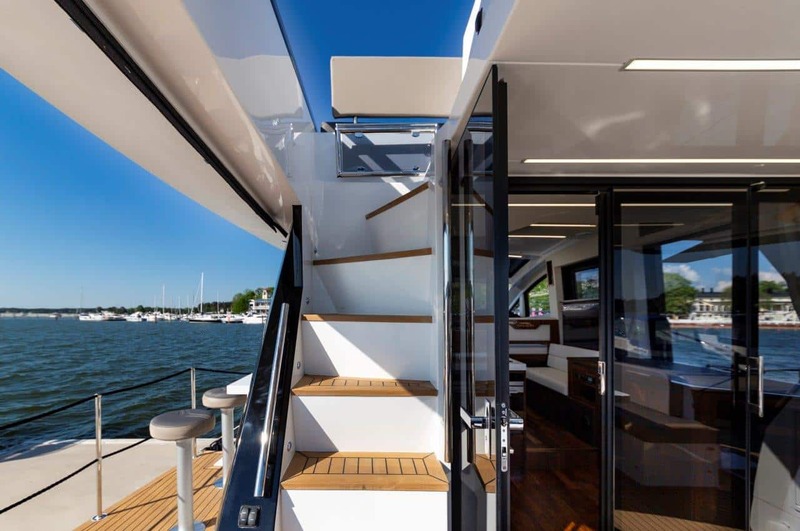 Where the SKYDECK truly shines is in the design department. 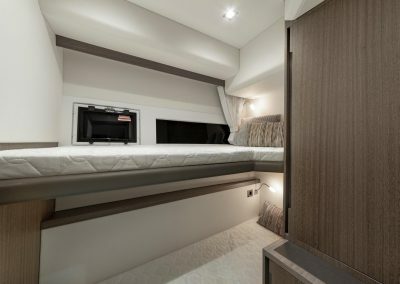 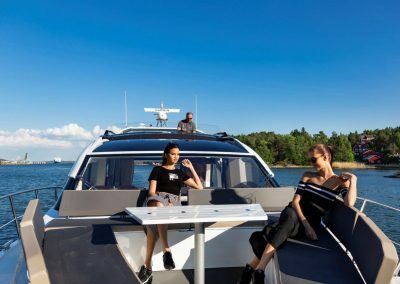 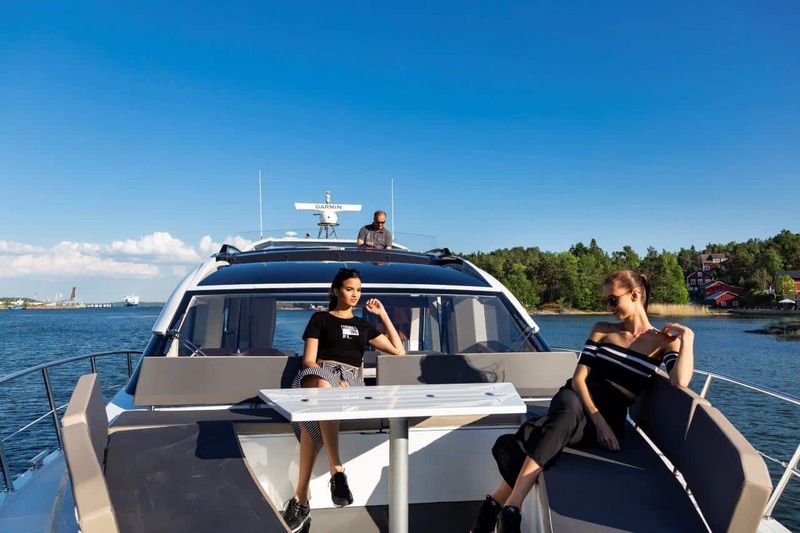 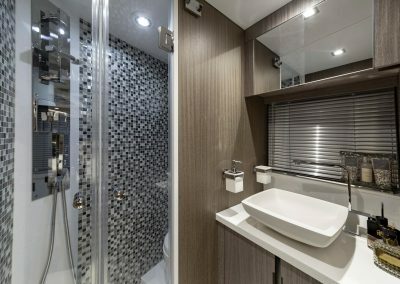 With its sleek lines, one can easily mistake for a hardtop model, and yet it offers a top deck neatly hidden away with a soft roof. 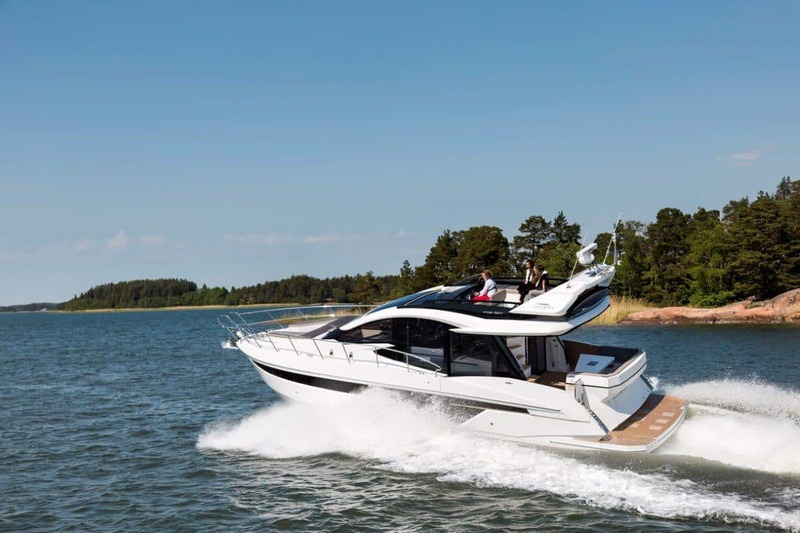 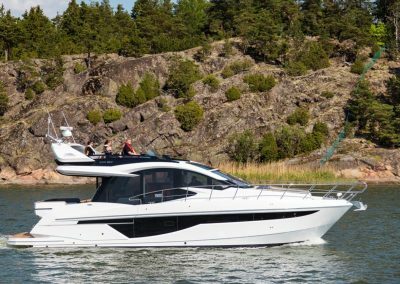 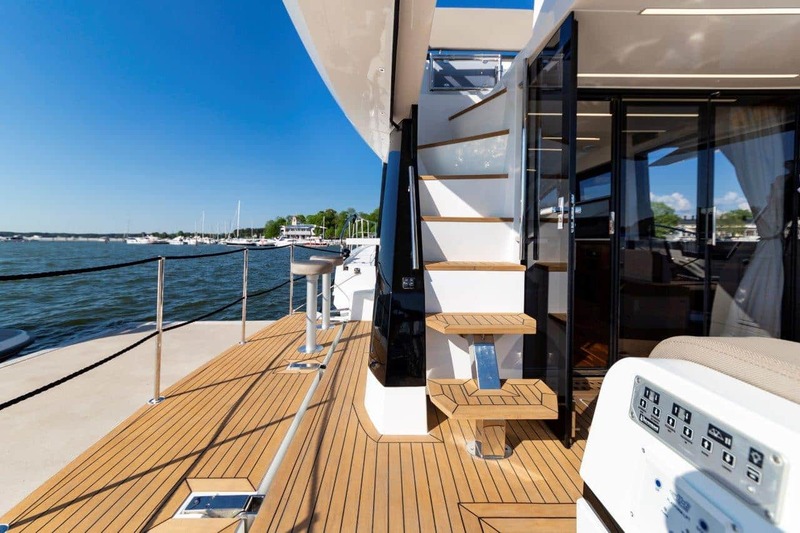 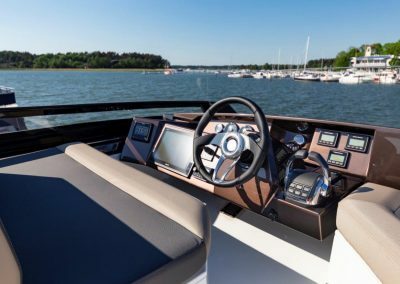 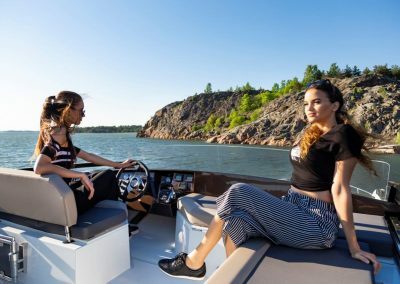 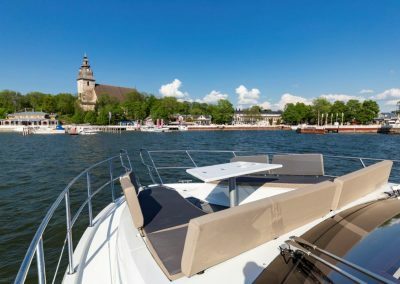 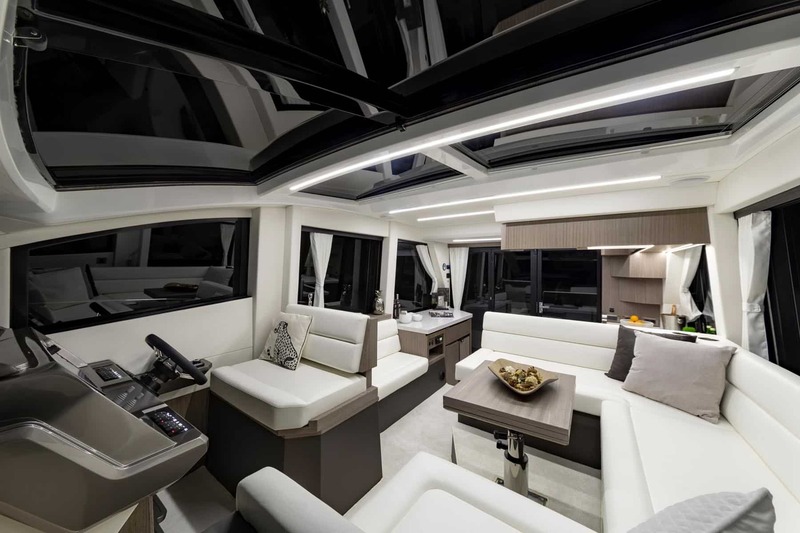 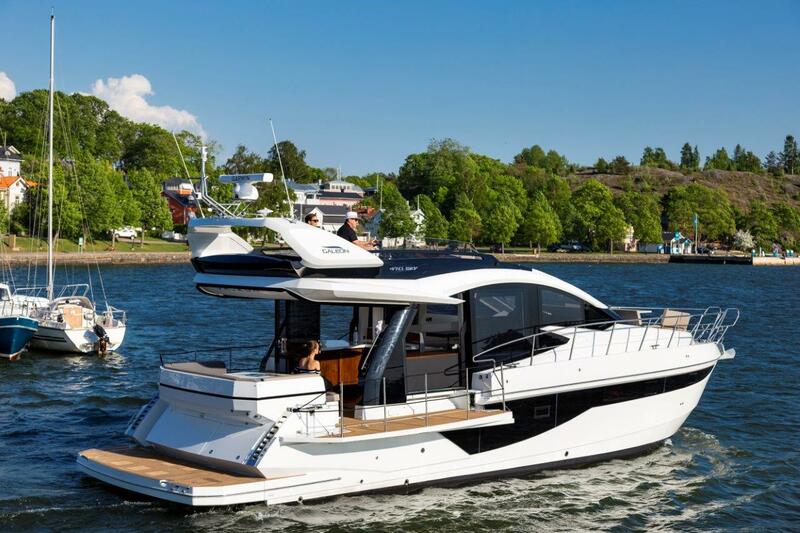 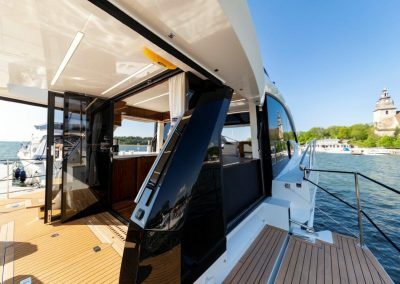 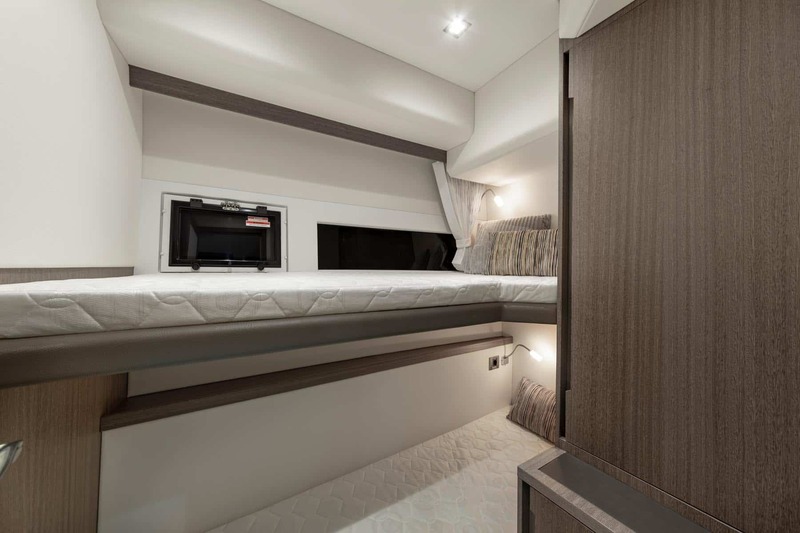 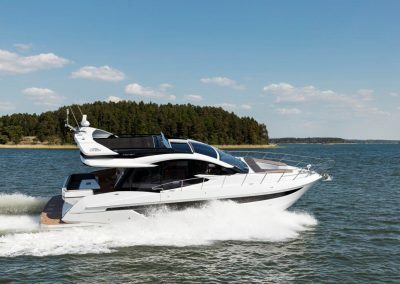 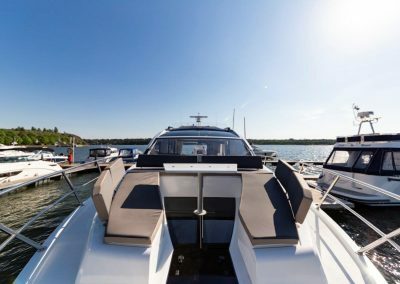 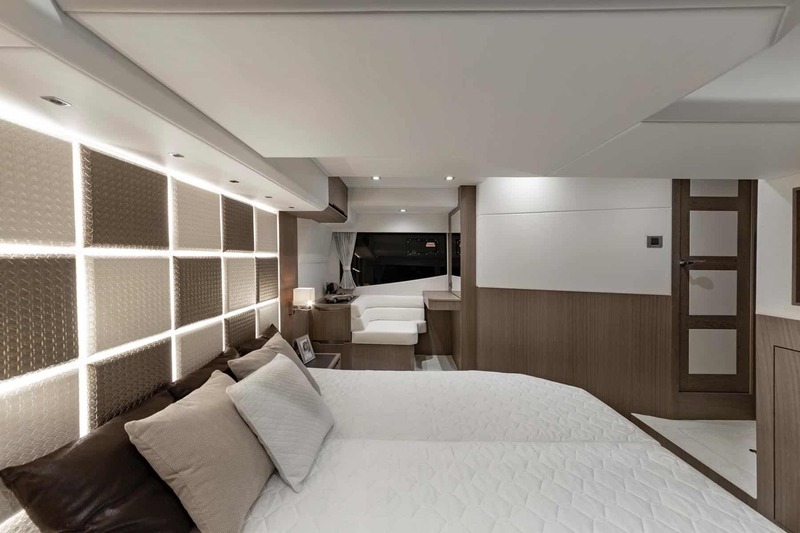 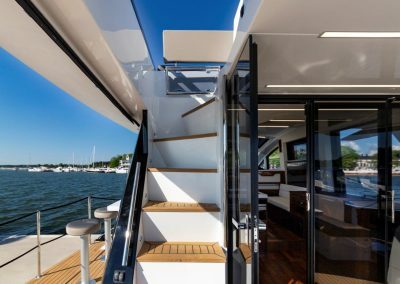 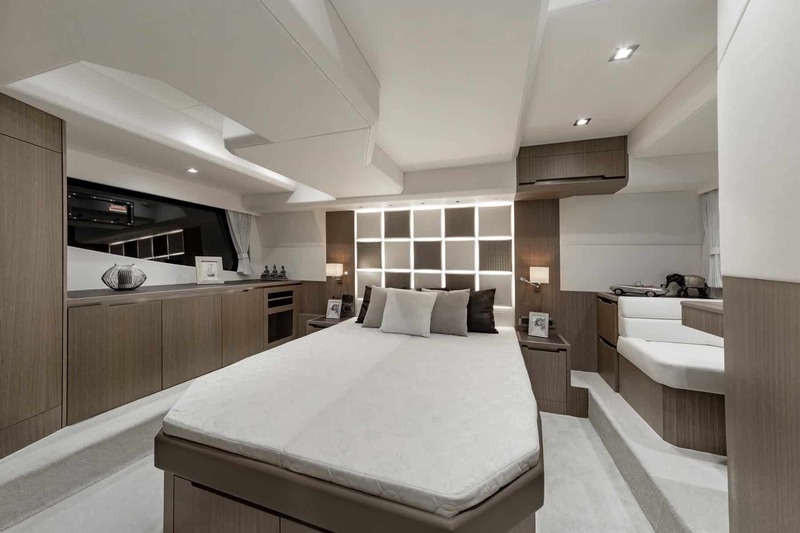 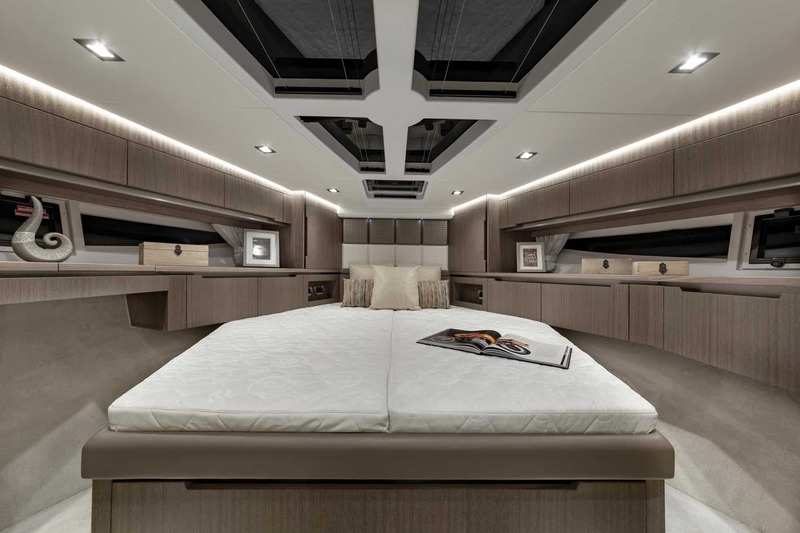 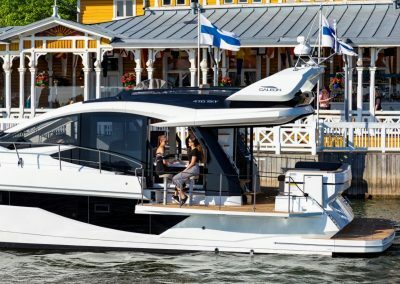 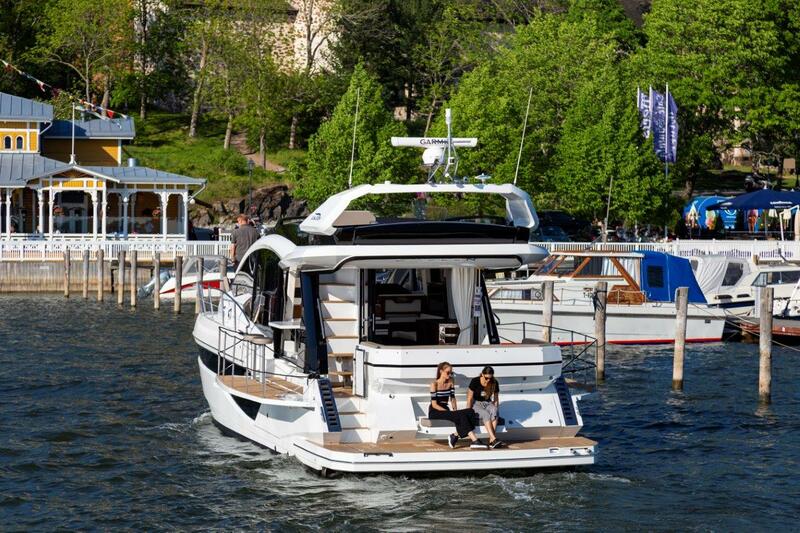 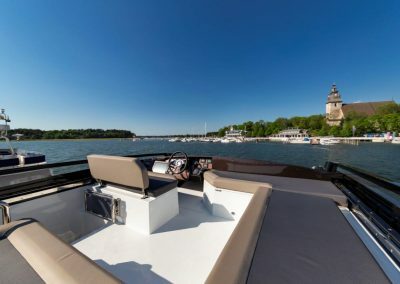 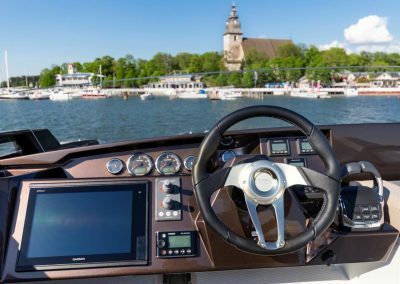 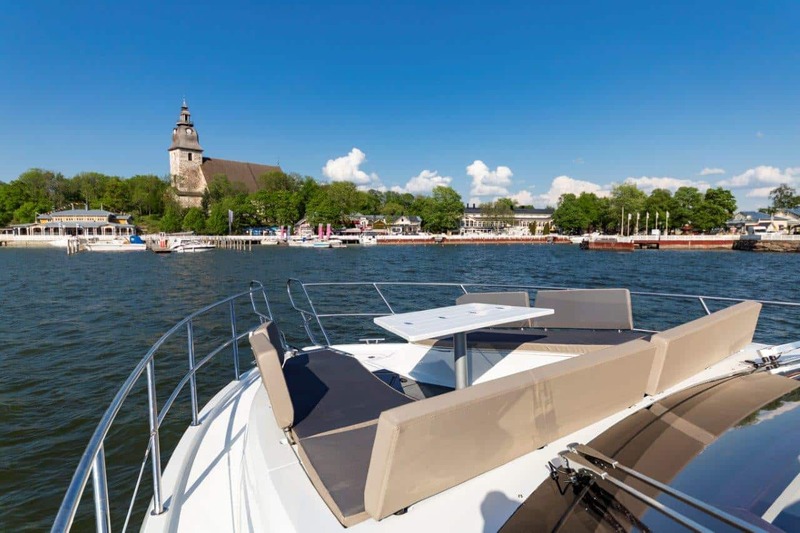 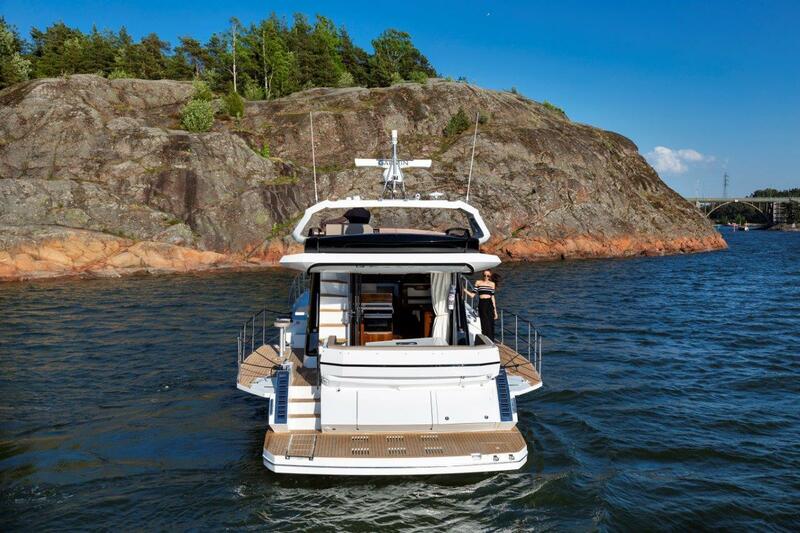 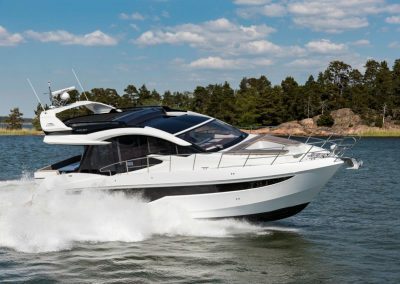 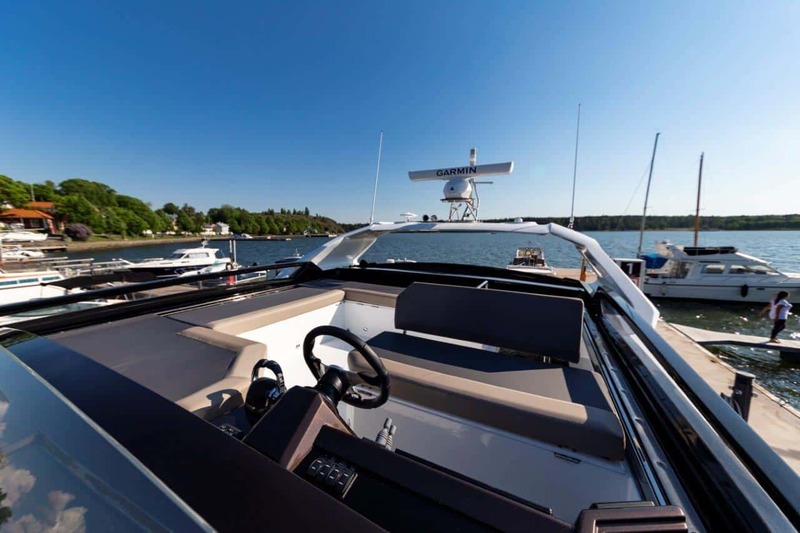 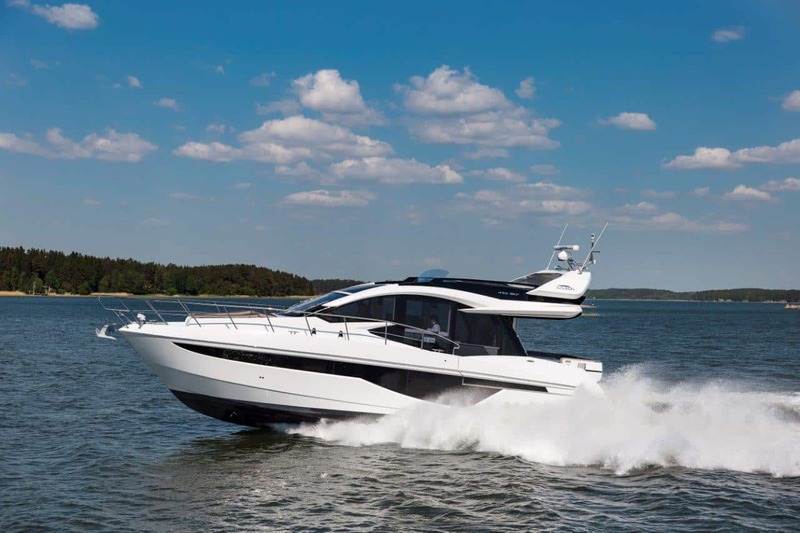 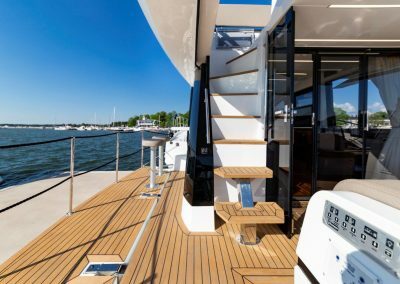 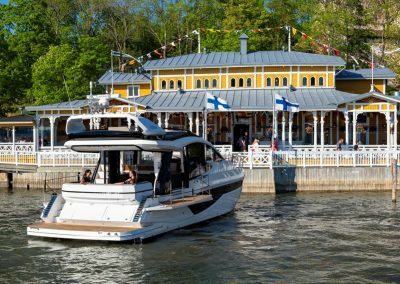 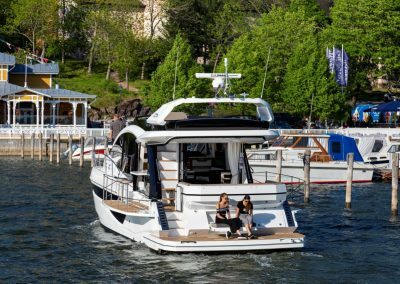 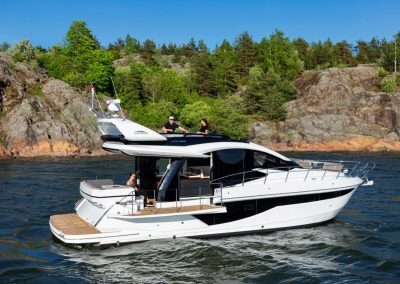 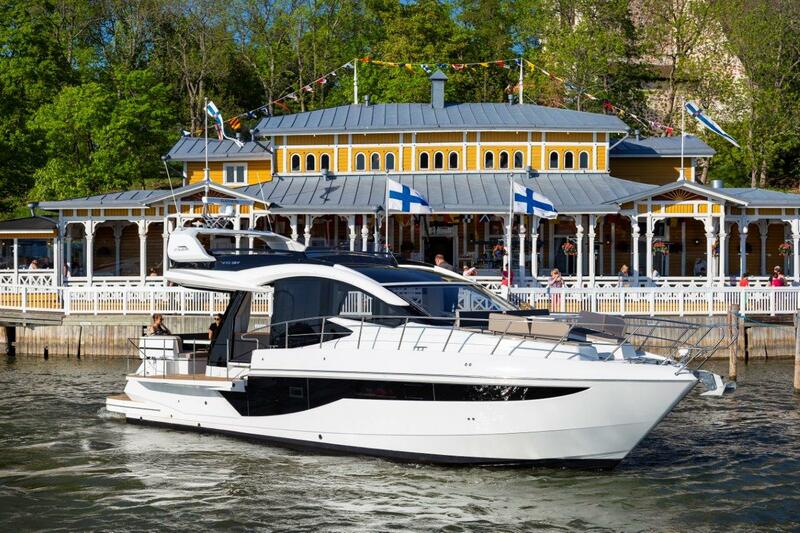 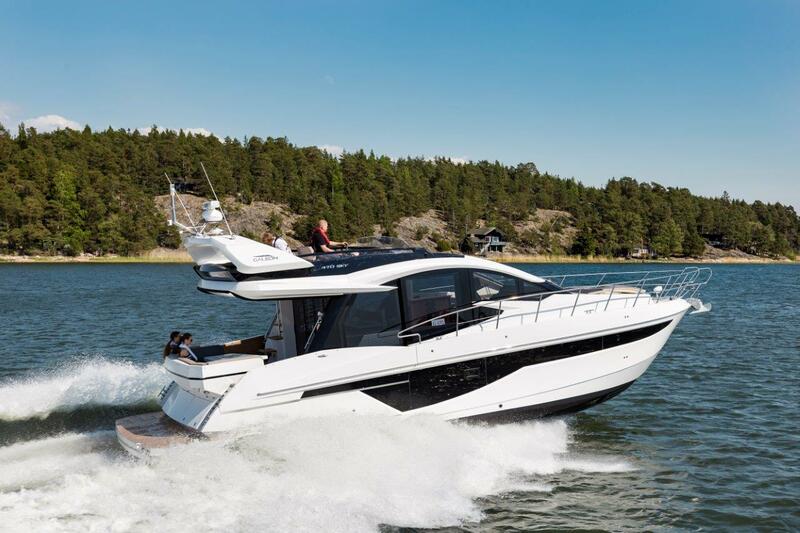 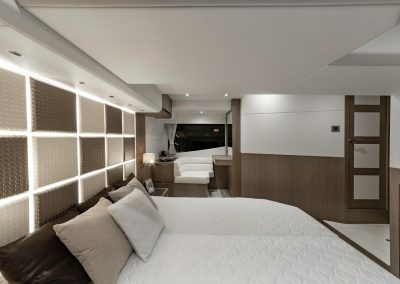 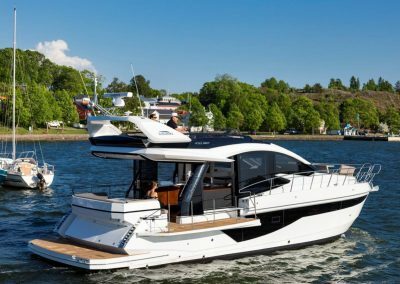 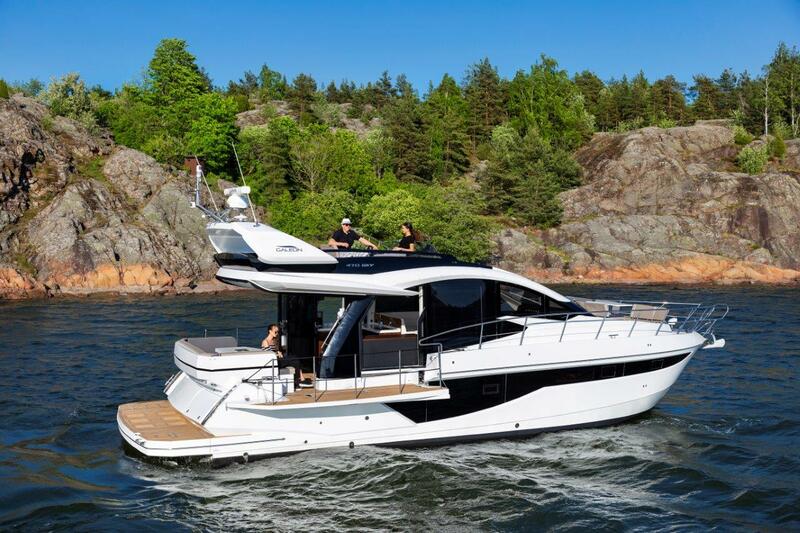 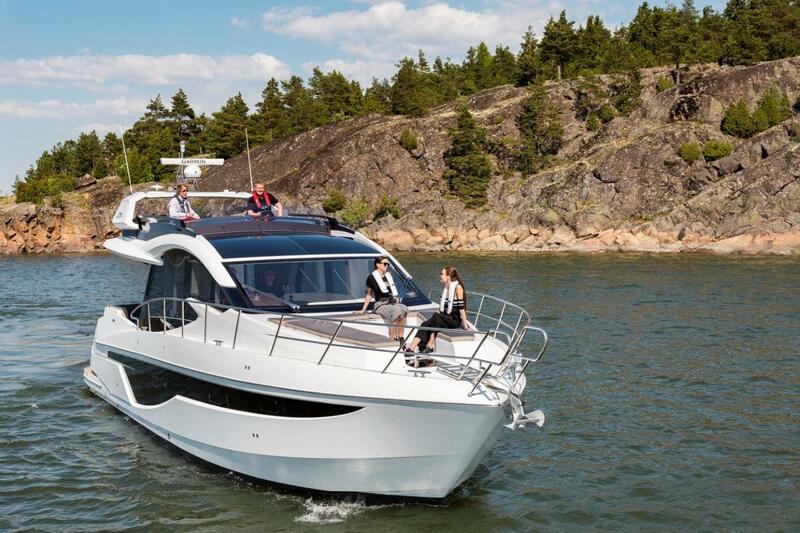 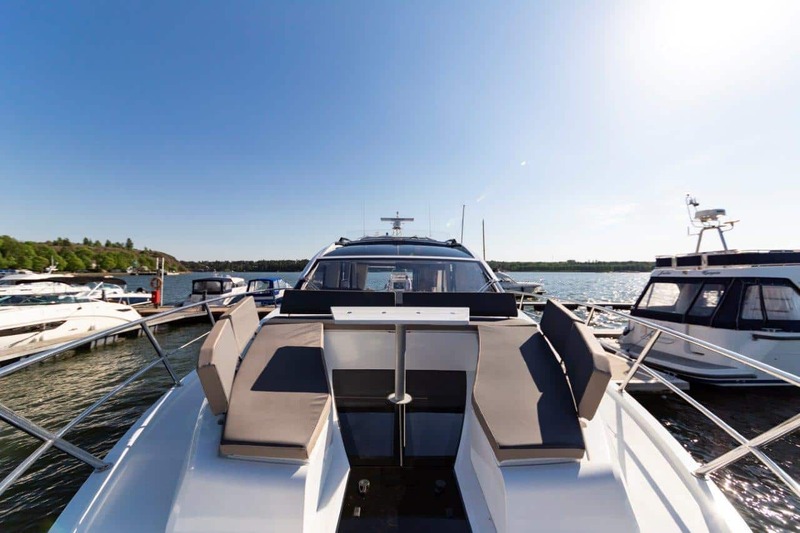 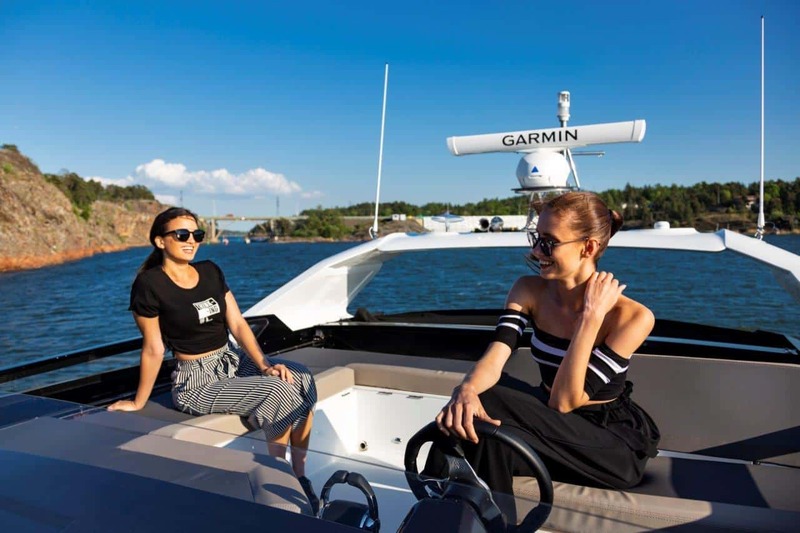 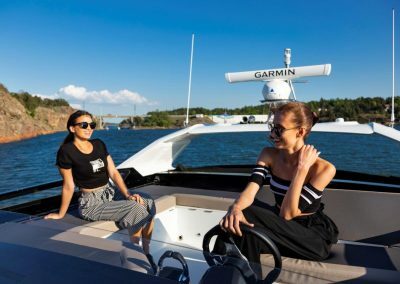 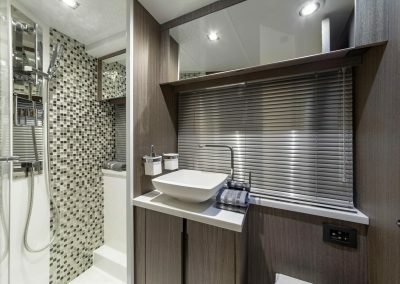 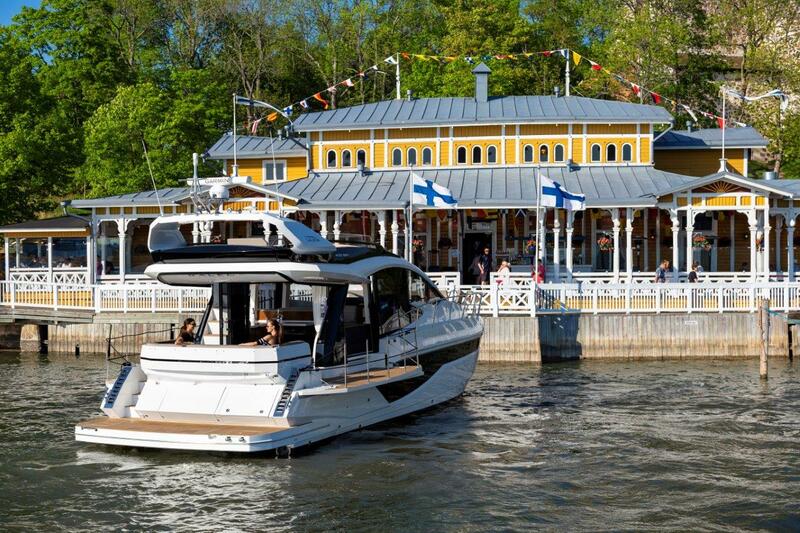 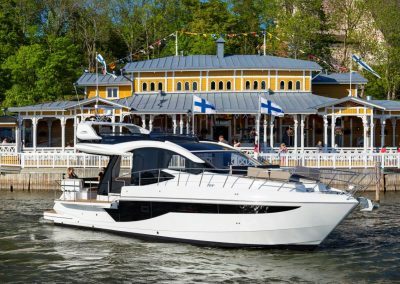 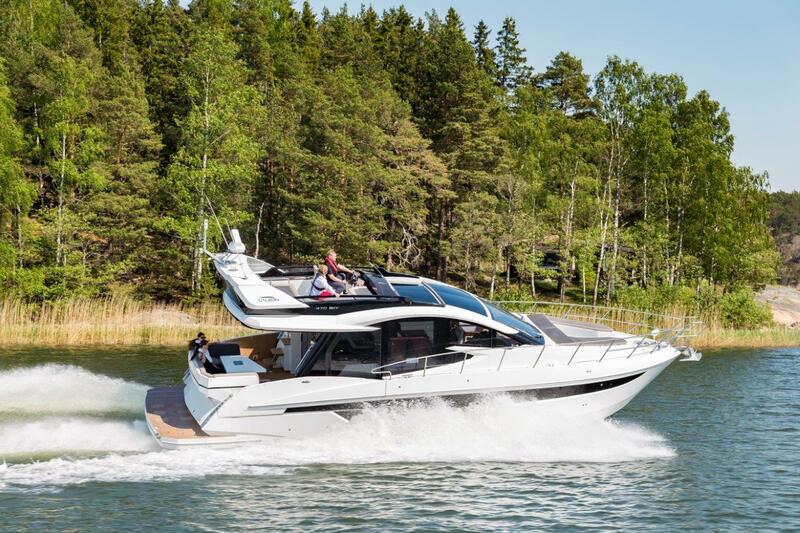 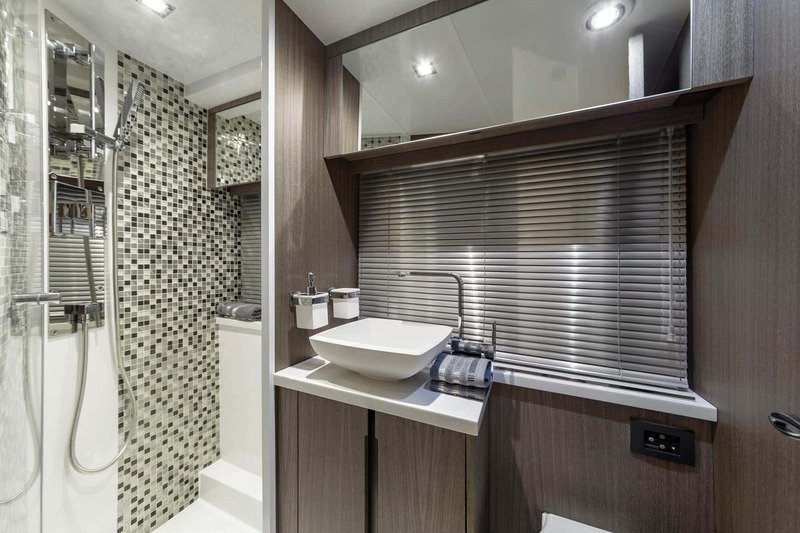 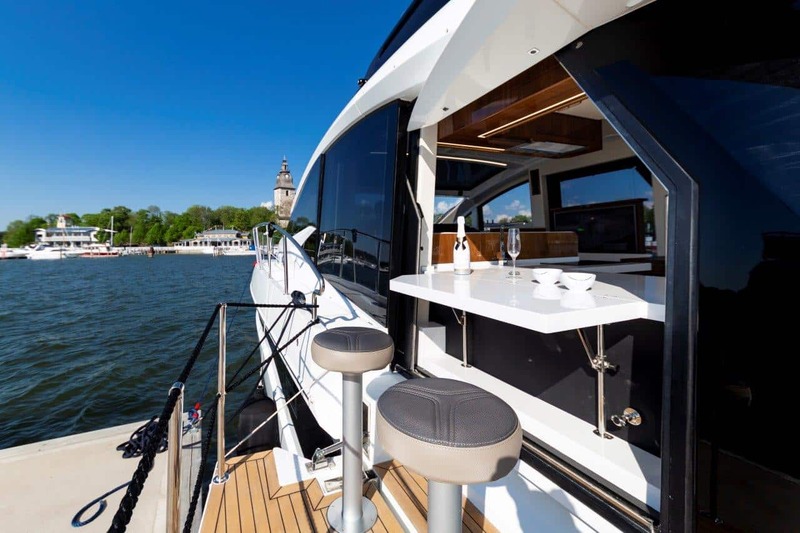 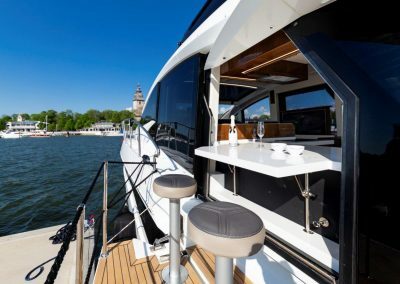 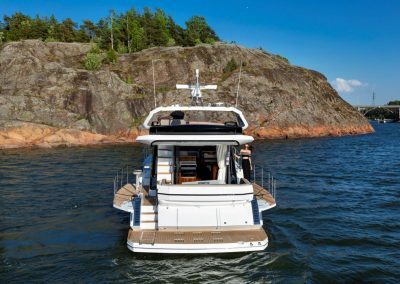 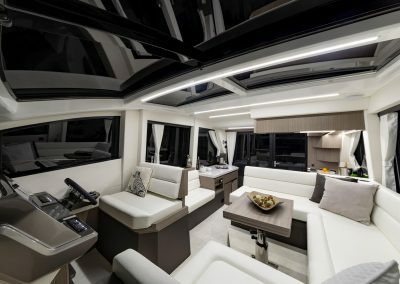 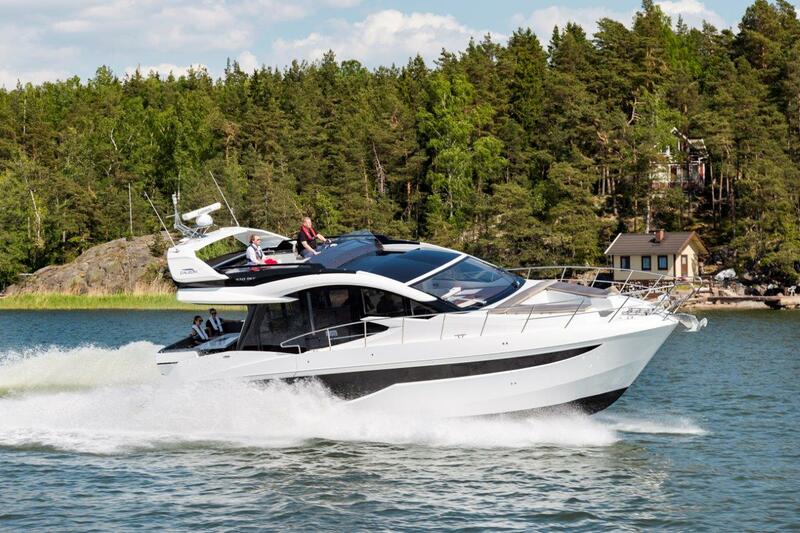 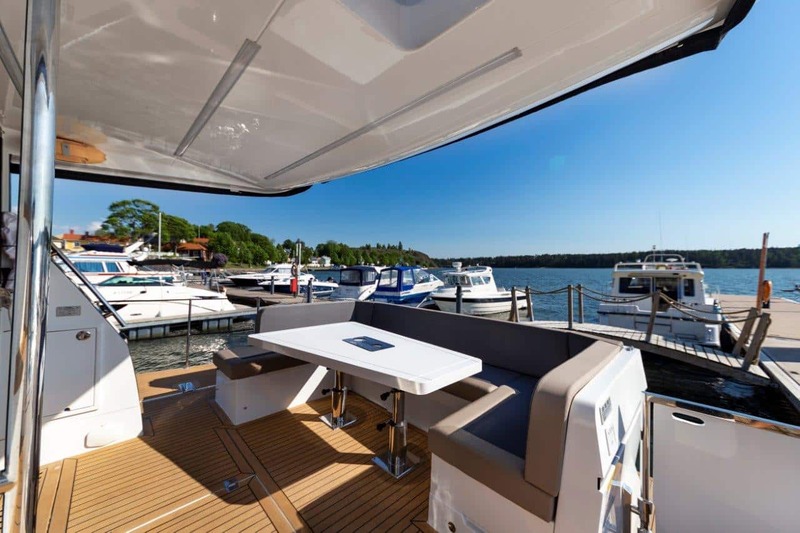 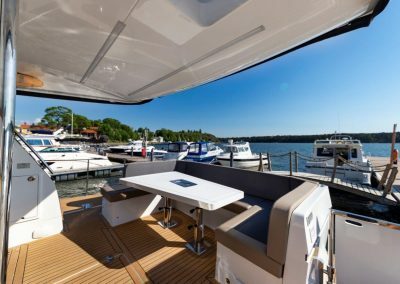 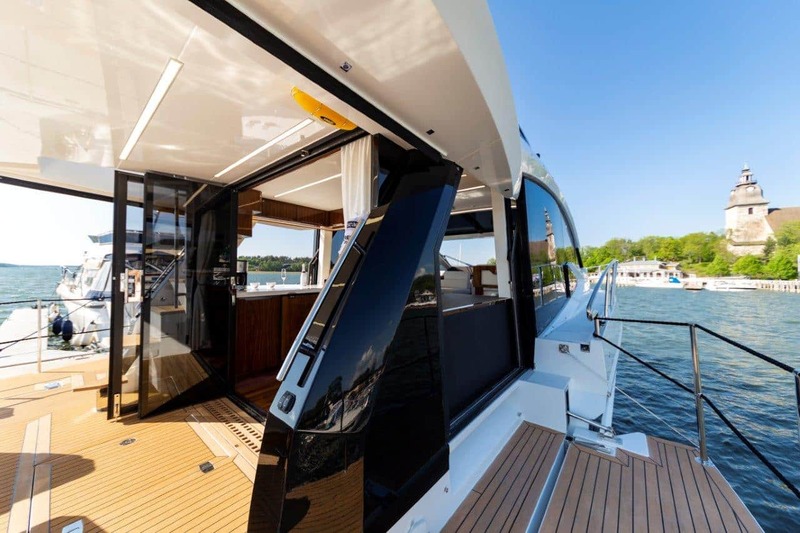 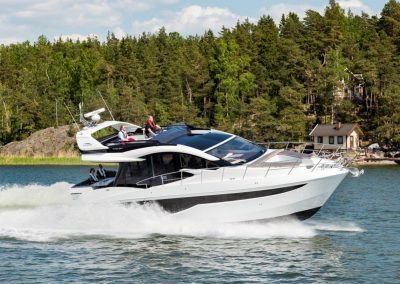 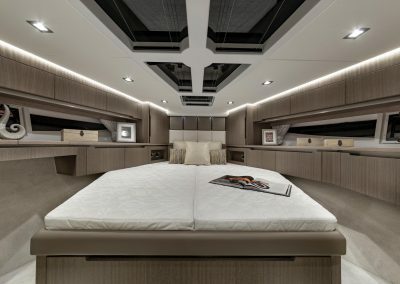 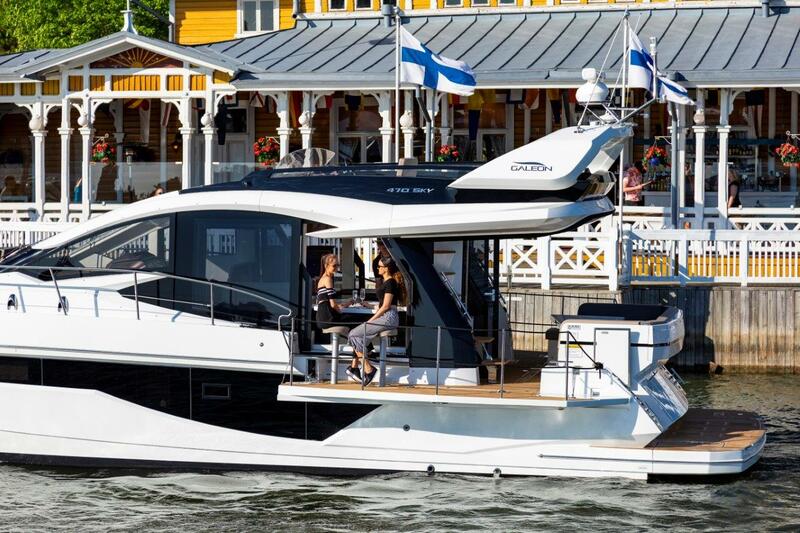 Find a complete helm station with space for leisure on the sport flybridge.